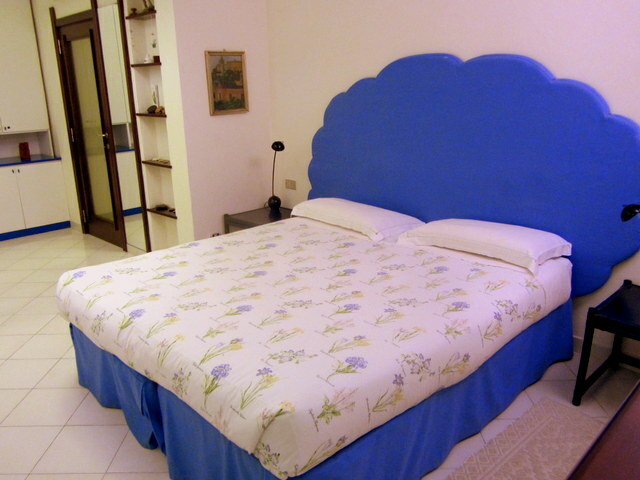 Villa Cao is a haven of tranquility and rest if you are looking for a place to stay in Cagliari, Sardinia. I was given the family room during my stay and it was spacious and welcoming. 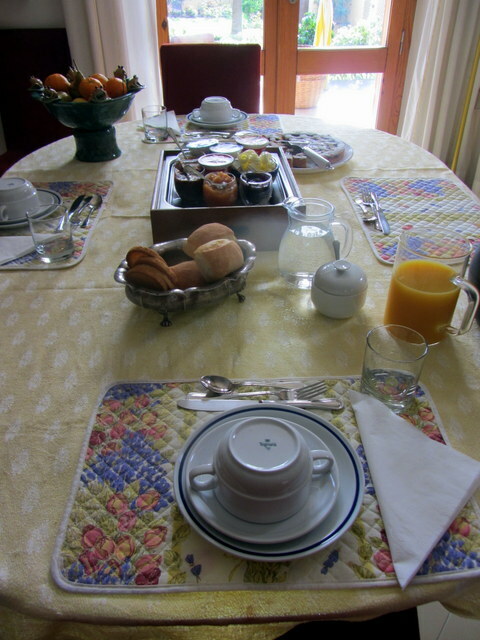 The bed and breakfast, Villa Cao, has a beautiful setting and is set back from the road, so there is absolutely no traffic noise. I slept very well during my stay there. I also liked having my own private entrance to the room. It was clean and comfortable. 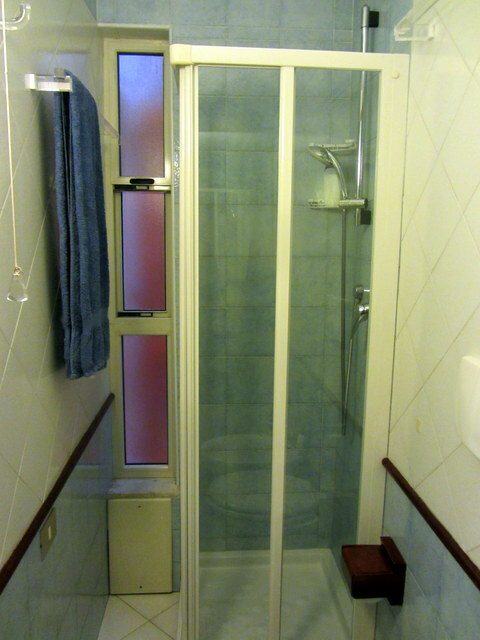 You should know that the shower in this particular room is very small if having a large shower is important to you. The room has a small refrigerator in it and the heat worked great. Silvana gave me a great welcome and even presented me with a discount card for area restaurants and shopping. 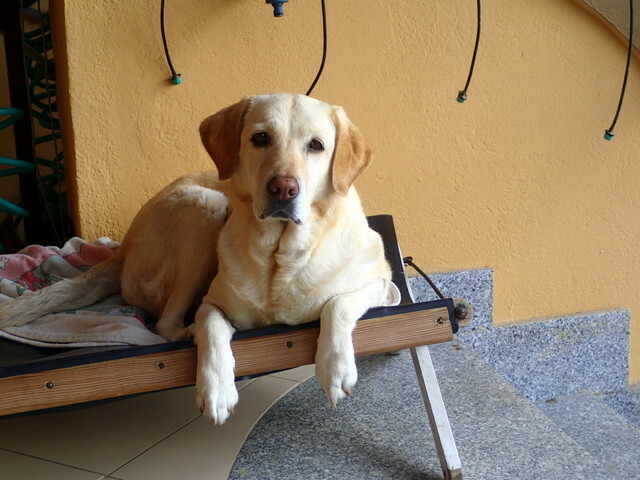 I also received a great welcome from her adorable and friendly dog, Asiana. It was great being able to do my laundry for 4 euro and letting it dry in the sunshine in the garden outside. I was very impressed with breakfast. 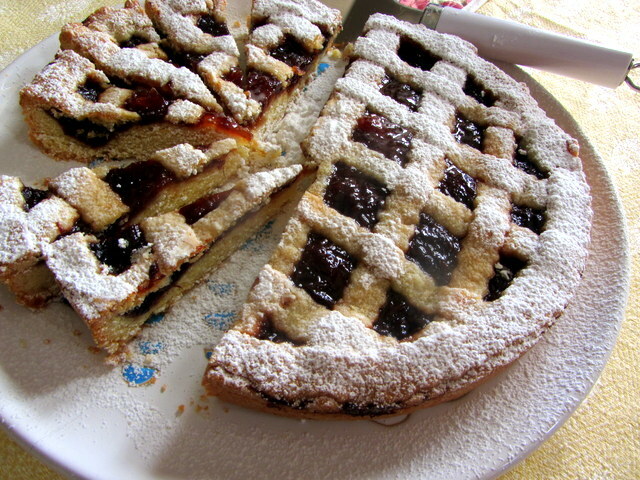 Silvana made her own jams and served a homemade plum crostata every morning that was delicious. She also made great coffee. There was also orange juice, fruit, and yogurt with a selection of honey ranging from local Sardinian ones to an Ethiopian one. She and her husband were great hosts and made me feel very welcome. The location is only steps away from the Mercato and about thirty minutes walking distance from the port of Cagliari. It’s also very close to the Music Conservatory. They also have parking available for people with cars. It’s easy to see why many who come to Cagliari choose to stay at Villa Cao for a month or more. Disclosure: I received a free stay at Villa Cao, but all opinions in this review are my own.